What Does The Third Place Of The Future Look Like? 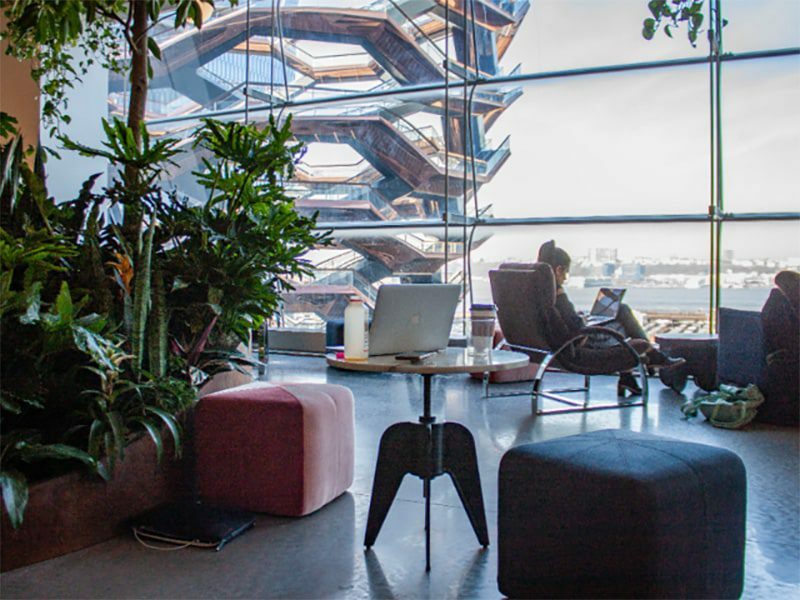 Hidden within the Hudson Yards in New York, 3DEN is a new type of urban space that combines co-working with a new range of activities and amenities under one roof. 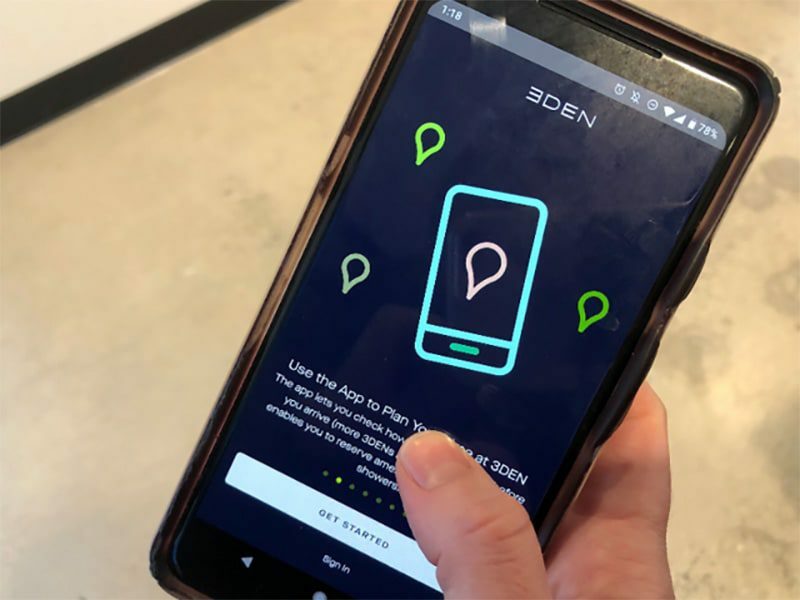 Using their app, you can reserve your desired time at 3DEN, check in and out of the amenities and even see how busy the space is at any given moment. All the information and payments are within your reach on your mobile phone making it easy to plan your day. 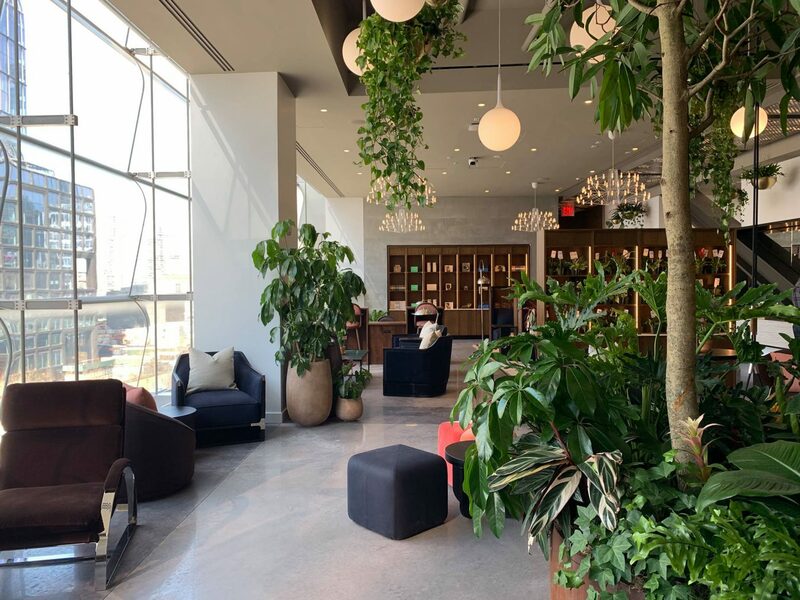 3DEN is situated on the fourth floor of Hudson Yards, a huge mall in New York. 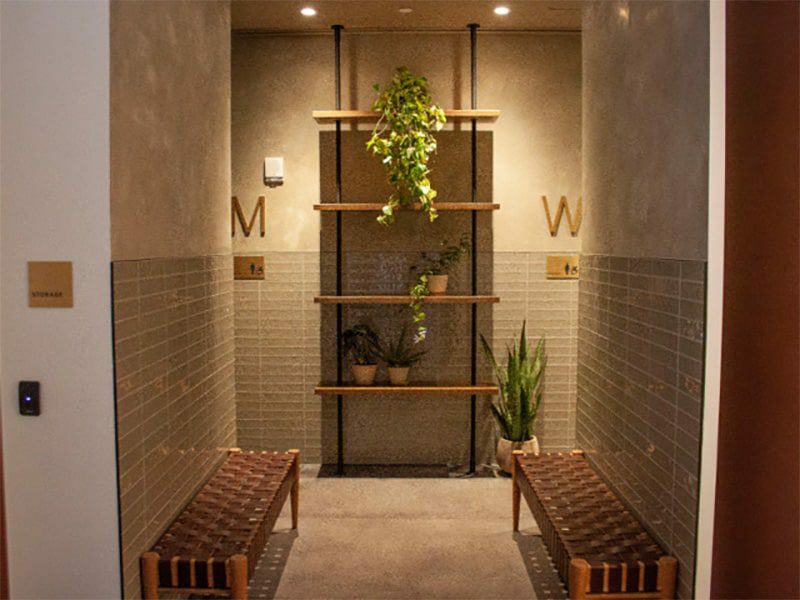 The entrance is equipped with an iPad which scans your access QR code and lets you into the space which offers a number of different facilities. 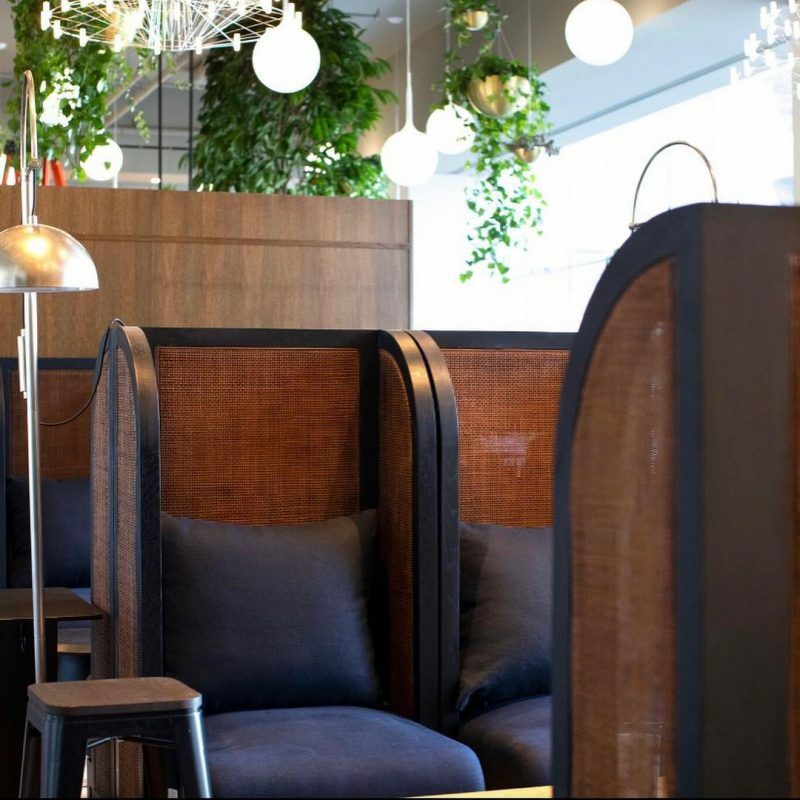 3DEN’s interior is big and bright with a lot of greenery and stylish modern furniture. 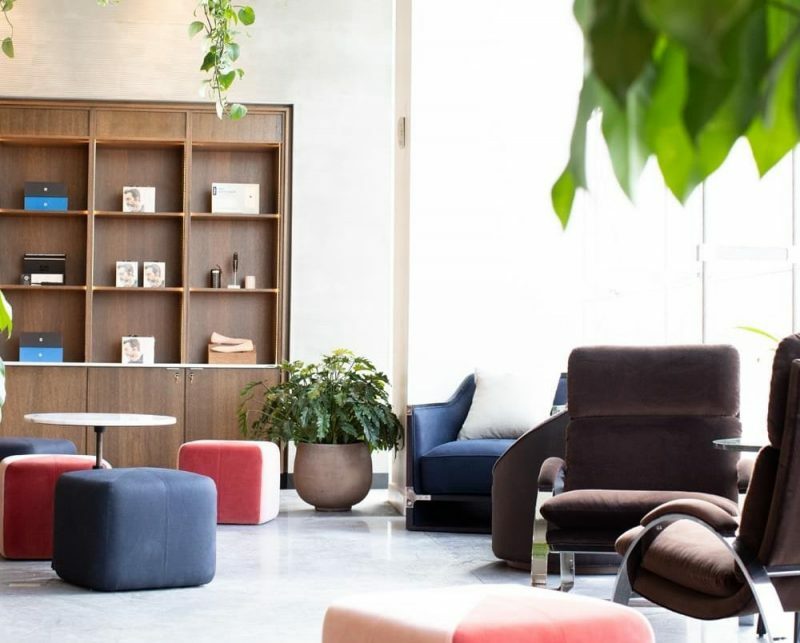 Inside, you can find a meditation and yoga room, co-working space with high and low tables for an optimal working experience, bathrooms, showers, soundproof phone booths, free coffee and even nap pods for an instant recharge. 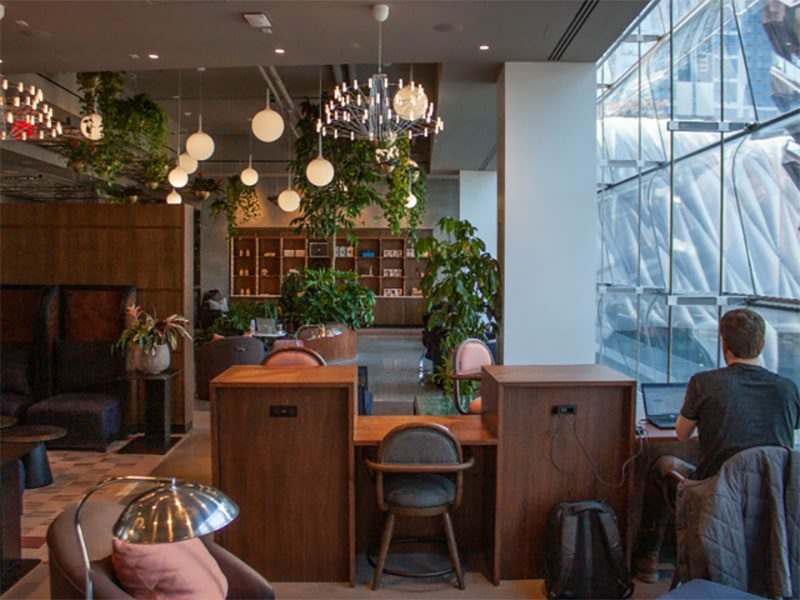 Providing an opportunity to work and relax while not at home or work, but somewhere in between, 3DEN supports a broader trend in which the boundaries between home, work, leisure and even transit are becoming blurrier and blurrier. This past October, we discussed the future interior of Dutch intercity trains that will seamlessly fuse work, leisure and transit. In San Francisco, public transport company Leap is operating commuter buses that look more like coffee bars on wheels. Its rooftop bar was already a success, but also the remaining floors of an empty car park in South London neighborhood Peckham have now been transformed into a community hub. You can get anything here — from a drink to a haircut. Tokyo’s urban landscape can be described as bright, loud, and even chaotic. So what happens when you apply the colorful elements of Japan to other world cities? To show that “the city that never sleeps” also has its private, quiet and relaxed moments, the Brooklyn-based collective Dawn of Man came up with the idea to project videos of sleeping New Yorkers on the walls of buildings. On Thursday 23 January, our friends at Stroom in The Hague will host a lecture by the French architect and architectural historian Jean-Louis Cohen. This past summer Cohen curated a comprehensive exhibition at New York’s Museum of Modern Art about the work of the godfather of modern architecture: Le Corbusier.